Evaluating Exponents Riddle Riddle Positive only. Single value raised to a power. Evaluating Exponents Riddle 2 Riddle Single value raised to a power. Exponents as Algebraic Expressions Riddle Single variable raised to an exponent only. Only 2nd or 3rd degree exponents for larger numbers. Numerical Expressions Riddle Error has been fixed. Some with grouping symbols. Multiplying and Dividing Exponents Riddle All numbers. Positive exponents only. 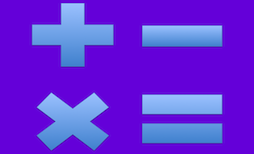 Multiplying and Dividing Exponents 2 Riddle Numbers and variables. Positive exponents only. Adding and Subtracting Scientific Notation 1 Riddle Positive and negative exponents. Decimal places up to the thousandths. Scientific Notation Standard Students will write both scientific and standard. Evaluating and Expanding Exponents Standard Two sections. First, students will write in exponential notation. Second, students will expand exponential notation as repeated multiplication.